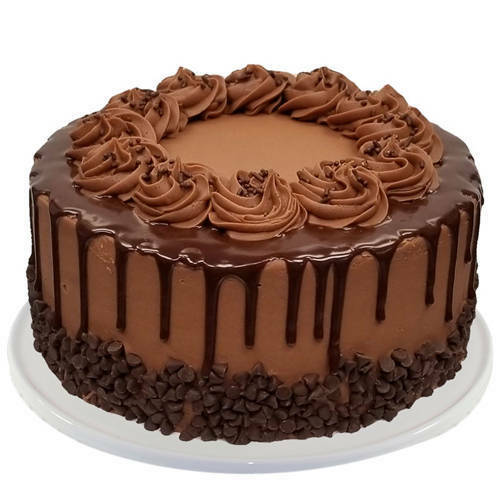 Fill a confection-lover s heart by presenting this Mouth-Watering 2.2 Lbs Chocolate Cake from Taj or 5 Star Hotel Bakery. Settle for an unique gift for the most special person in your life and send him/her this Remarkable Mixed Flowers Bouquet with 1 Kg Chocolate Cake from Taj / 5 Star Hotel Bakery that marks its superiority at the first sight itself. Even if you are far away from your loved ones, send them these Glamorous 24 Red Roses with 1 Kg Chocolate Cake from Taj / 5 Star Hotel Bakery as a token of remembrance and how much you love them. Enjoy your beloved s special dayy with this Flavoursome 2 Kg Chocolate Cake from Taj or 5 Star Hotel Bakery.